The people of Orlando give this writer hope that the future won't always feel dispiriting. This weekend's Orlando Pride proved a safe, beautiful, and bittersweet event. 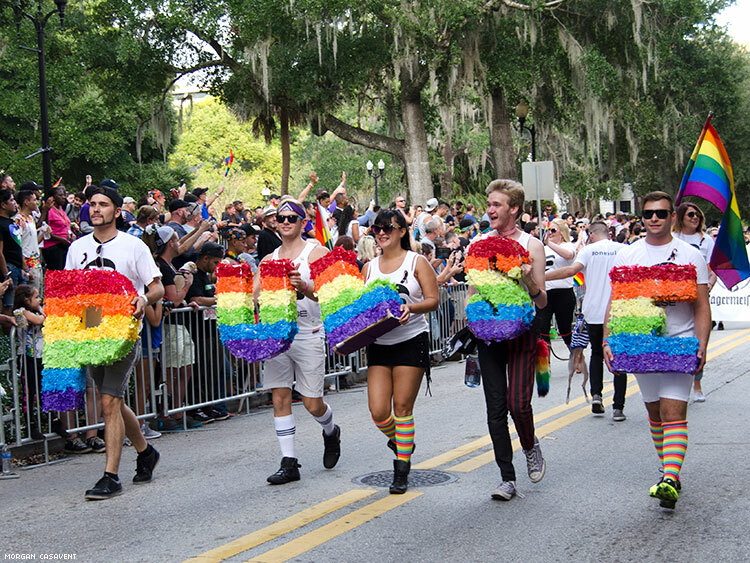 Looking at the vibrant, resilient lives on display, especially seeing the survivors of the Pulse nightmare and victims' famlies, has me feeling hopeful — and relieved. That's partly because I had a nightmare that there was a shooting at Orlando Pride. More than 49 people were killed this time. I ran for cover, then tried to chase down the gunman. As I approached, he was beheaded and we were all safe. When I looked again, though, he had suddenly come back to life. As nightmares go, it was frightening on its own. Even worse, I knew the shooting would happen. In each subconscious scene before the Pride parade, I found myself in an everyday, group setting: brunch at a café, riding in an elevator, chatting in the office break room. I was surrounded by friendly faces talking trivialities while I thought about the impending attack. Yet I said nothing. I don’t want to interrupt, my dream self thought. So I stood there with lifesaving information, very aware that what I knew was infinitely more important than any conversation. When I woke up, it wasn’t the mass murder that terrified me most. It was my own silence. I’ve wanted to write something about the shooting since it happened. But filming L.A. Pride the same day for The Advocate and covering the aftermath full-time left me little room to delve into how I felt. Even so, I made time to hear from my queer friends in Orlando, my hometown. Some called me in tears because their parents were oblivious to their suffering. Some of their parents were actively expressing homophobic views to them just days after the massacre. We can “love” gay people, send thoughts and prayers after they’ve been murdered, but still vote for someone whose hateful rhetoric inspired more than 200 incidents of harassment in the first 72 hours after he was elected — and who never visited Pulse, even when within miles for a campaign rally. The other nightmare I have yet to speak about is the election. I've been silent on social media, and I've yet to discuss the election with my Christian mother, who voted for him, in Orlando. She’s right. 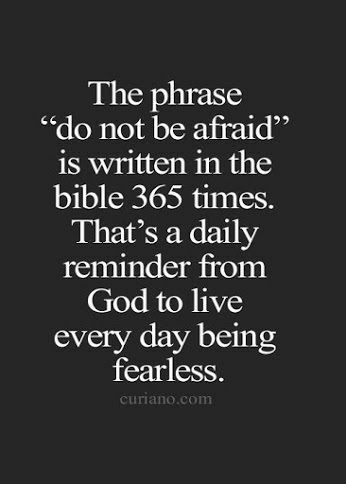 We do need reminders to be fearless. Especially now that hate crimes have spiked, suicide hotlines are ringing off the hook, and for the first time since the Pulse shooting in June, I’ve driven home from work in tears. I’ll need 1,460 reminders to be fearless now, Mom. That's how many days we'll have President Trump. With this election, we know something bad is going to happen. It’s already started. He may not have personally punched a gay person or shouted the n word at students or told children they will be deported because they speak Spanish, but people are invoking his name to do all that and more. A symbol of hatred is more dangerous than any single person or president. It wasn't just a vile person who won last Tuesday; permission for vile behavior won. Because I’m white, cisgender, straight-passing, and live in Los Angeles, I can only imagine the anguish felt now by people of color, trans folks, and immigrants living in a red state. But because I am queer, I feel a blanket of impending oppression not-so-slowly settling over my community. Welcome to the new constant, clausterphobic anxiety that can’t be released because “it” hasn’t happened yet. And we don’t yet know what “it” will be, though we're sure it's coming. When I think about talking to my mom or about what I should say to anyone about Trump, I'm reminded of my Orlando choir friend. She came out to her religious, conservative parents the day after Pulse. She thought about the families of the Pulse victims having to find out their child was gay and that their child was dead at the same moment. She thought, That could have been me. She was two blocks away that night. My friend so easily could have reacted in fear and gone deeper into the closet. But instead she marched up to her parents' home and broke the silence. She reacted to that tragedy with love. I want to react to our new national nightmare with love too. Nearly one week later, I still don't know how. The most radical thing I can do now, for starters, is break my silence and talk to my Trump-supporting mother. I don’t know what to say, but I have hope that one day we'll find the spirit of this weekend's Orlando Pride, and we'll have stories to share about how we found love out of tragedy. ALLISON TATE is a video producer for The Advocate. Contact her @allisonfilms on Twitter or via her Facebook page. Watch more of her films for The Advocate and PRIDE.